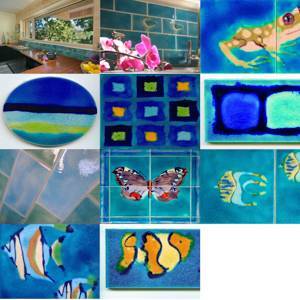 Passionate creators of beautiful, hand-painted, really unique decorative ceramic wall tiles, murals, custom panels, kitchen backsplash tiles and bathroom wall tiles. 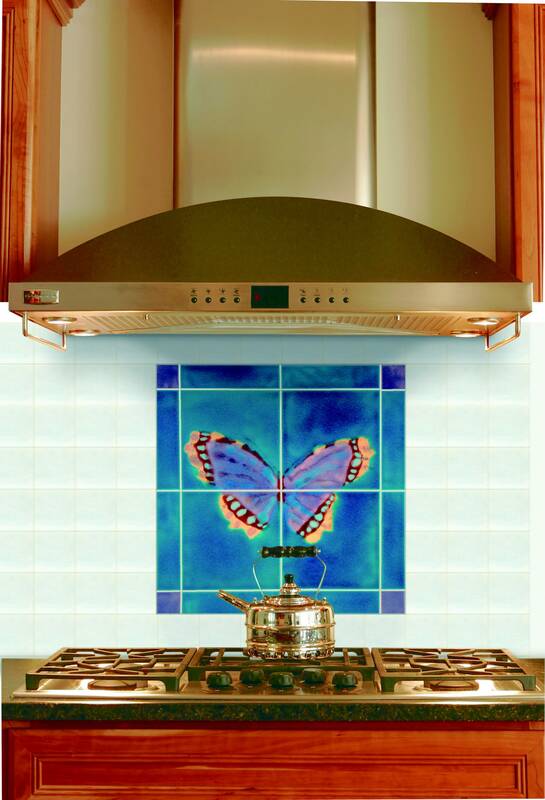 To create a truly individual home, use our unique hand-decorated tiles and murals in your kitchen, bathroom, fireplace surrounds & even in your conservatory … they will add your own personality & create a wonderful space full of luxury & beauty. Your home is your sanctuary & it’s so important that it looks & feels just how you want it, Jaafar Designs tiles are perfect for just about anywhere in your home! They have been carefully designed to work perfectly with a contemporary interior as well as a more traditional, classic decor scheme. Need inspiration on how to use our hand-painted tiles ? See our super eco self build project on Channel 4’s Grand Designs www.granddesigns.tv/gloucestershire Follow our journey to create our dream Gloucestershire Treehouse home & tile studio. 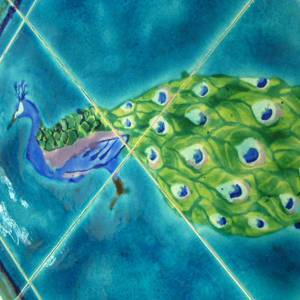 See the stunning NEW hand-decorated tile designs as seen in the Dursley Treehouse kitchen & bathroom. 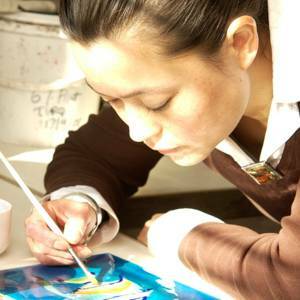 All of our ceramic tiles are designed and hand painted in our Cotswold studio using locally sourced materials. The tiles are all sealed before dispatch , this means they are completely waterproof so they can be used on any vertical surface including use with power showers. As we hand-paint tiles to order, we would be delighted to help you personalise our range of tiles to really reflect your personality & taste – how about having one of our fish designs swimming the other way or swapping one colour for another? The ultimate in decorative ceramic tiles! We’re happy to work on 1 tile upwards! If you want us to create a totally bespoke design or you have your own ideas to create something totally original – please contact us. You can talk to us about the many possibilities for our ceramic tiles – we’re always happy to chat & we’d love to hear from you ! 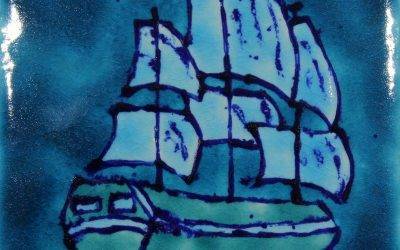 Delighted to show you our latest special commission picture tile - a Boat tile requested by a customer living by the sea. If you fancy your very own one-off unique tile , get in touch ... we'd love to hear from you !